We regret to announce the death of Mama Rose Christine Aloo Otieno. 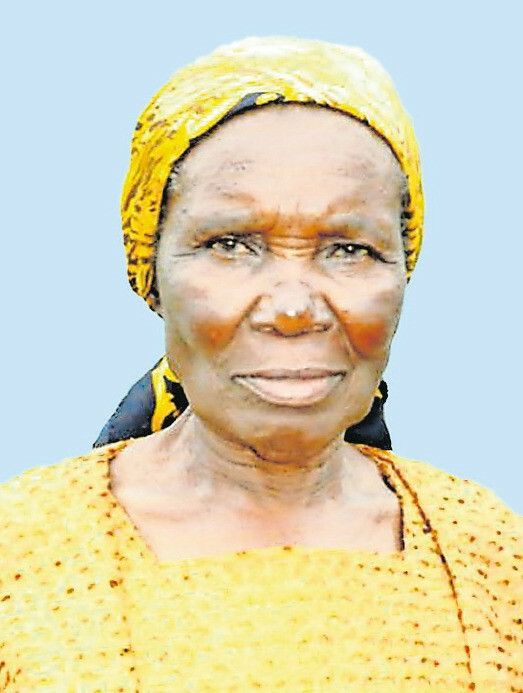 Wife of Isaac Otieno Wamboga of Alego Kaluo. Daughter of the late Dishon Odera Ndede and the late Agnes Odinga Ndede of Alego, Mur Ng’iya. Sister of Edwina Ayieko, Pelesia Wasonga, the late Joyce Odhiambo, Eunice Ochieng’, Lorna Opiyo and senior Chief Naboth Ochieng Odera. Mother of Grace Otieno (USA), the late Judith Okanga, Meshack Odima, the late Pamela Otieno, the late Esther Akoth, Agnes Ouma and Andrew Odongo (Australia). Grandmother of Brenda Henderson (USA), Alfred Okanga, Victor Sika, Olivia Sika, Pan Owido, Brian Onyango, James Omondi, Faith Akinyi, Flangella Awino, Eve Christine Aloo, Sandra Ajwang’, Sharon Adhiambo, Michael Odhiambo, Rose Adhiambo (Daughter), Salome Atieno and Emerald Achieng. Great grandmother of Bahati Rose Henderson, Batya Judyleeh Okanga, Ranana Ahadi Okanga and Tyrell Samuel Oketch.